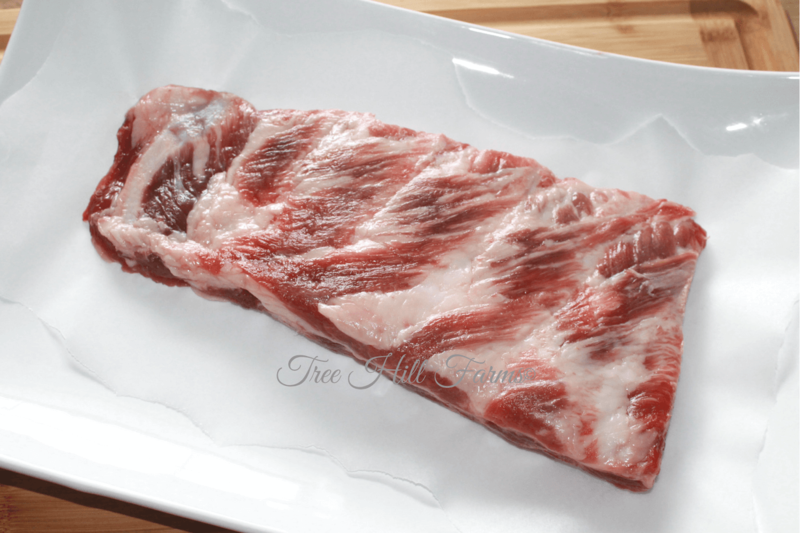 Spare ribs are the popular type of ribs that are cut from the lower portion of the pig, specifically the belly and breastbone. They have straight, flat bones with Red Velvet marbling throughout the meat. Great for slow baking and grilling!